Lamman Rucker - Bio, Married, Wife, Age, Net Worth, Height, Is He Gay? Lamman Rucker – Bio, Married, Wife, Age, Net Worth, Height, Is He Gay? Lamman Rucker is an African-American actor who is best known for his role as Will in Tyler Perry’s ‘Meet the Browns’. The Pittsburgh, Pennsylvania-born star first started acting in his 4th grade, playing the role of Martin Luther King Jr. Later on in life, he became famous for always appearing in soap operas and Tyler Perry movies. Read on to find out more about his biography, income and net worth, height, and sexual orientation. Lamman Rucker was born on the 6th of October, 1971, in Pittsburgh, Pennsylvania to Malaya and Eric Rucker. He is the eldest child of his parents’ three children. However, Lamman has only one living sibling after his brother, Chanu Rucker, was killed in 1992 at the young age of 19. While growing up in the greater Washington DC area of Maryland, Rucker was placed in a number of child pageants where he picked up his love for acting. His family was said to be very supportive of his career path, therefore enrolling him in a suitable school where his passion was nurtured. He completed his high school education at the Duke Ellington School of the Arts before attending Carnegie-Mellon University and Duquesne University. His first acting role came in a school play in the 4th grade and by his 7th grade, he joined the drama club. His first role in a movie came in the television miniseries ‘The Temptations’ (1998) which was based upon the legendary Motown group of the same name. Rucker’s breakthrough role, however, came in 2002 when he took up the role of attorney T. Marshall Travers on the long-running soap opera ‘As The World Turns’ (2002 – 2003). After just a year on the show, he took up another job in a soap opera titled ‘All My Children’ (2005). In between those roles, he appeared in the UPN sitcoms ‘All of Us’ and ‘Half & Half’, as well as in the film ‘Making Revolution’ (2003) and ‘Redirect’ (2005) until the role which he is largely known for came by in 2007. 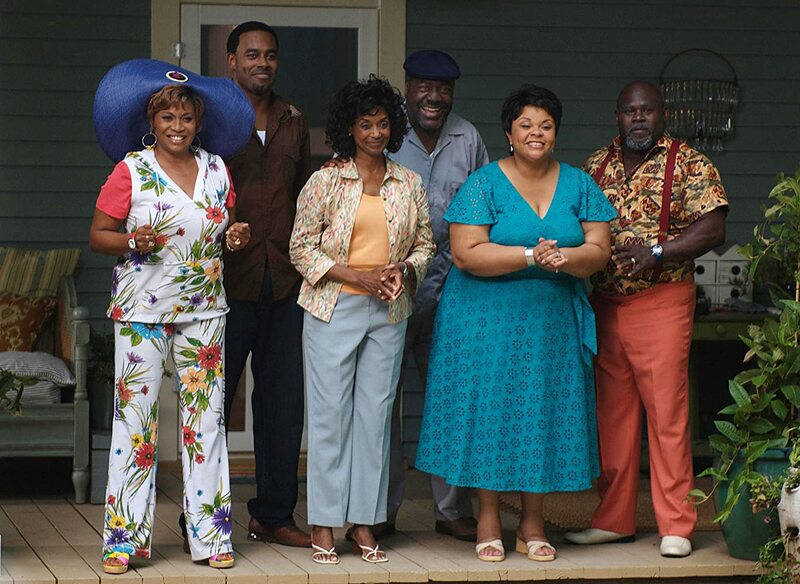 That year, Rucker featured in the Tyler Perry film ‘Why Did I Get Married?’. He received rave reviews for his role which he reprised in ‘Why Did I Get Married Too?’ (2010). Tyler Perry also enlisted Rucker for his other film ‘Meet the Browns’ (2008) which he again reprised in its sitcom spinoff from 2009 to 2011. In 2012, Rucker was cast to feature in the NBC comedy series ‘Save Me’ but was fired after the pilot episode. Since then, he has appeared in short films and TV movies before getting a role on the Oprah Winfrey Network drama series, ‘Greenleaf’. It is estimated that Lamman Rucker is worth around 2.5 million dollars. That figure was calculated through the numerous salaries he has received over an acting career that started way back in 1998. Add that to his other business interests and you’ll see that Rucker has set himself up well. Wife – Is Lamman Rucker Married? It is not clear if Lamman Rucker is married or dating anyone at the moment. He has in the past come out to deny that he was indeed married after rumors circulated that the actor had tied the knot. Rucker, however, confirmed that he was firmly in the dating pool and would be looking to build a strong relationship, not necessarily marriage, with an incredible woman who can invest in him as he invests in her. Back in 2007, Rucker was heavily linked to actress, singer, and songwriter Jill Scott after they appeared alongside each other in Tyler Perry’s ‘Why did I get married’. Another time, he was said to be actress Denise Boutte’s beau after the pair also worked together and even posted a series of photos they took together online. It is difficult these days to truly tell if someone is gay or not. Many a time, people are gay but choose to not make it public because of the effect it would have on their reputation and their relationship with other people. With that being said, we cannot truly confirm or deny that Lamman Rucker is gay. He has in the past denied being gay and has never been linked to any man. Education: Duke Ellington School of the Arts, Carnegie-Mellon University, and Duquesne University.